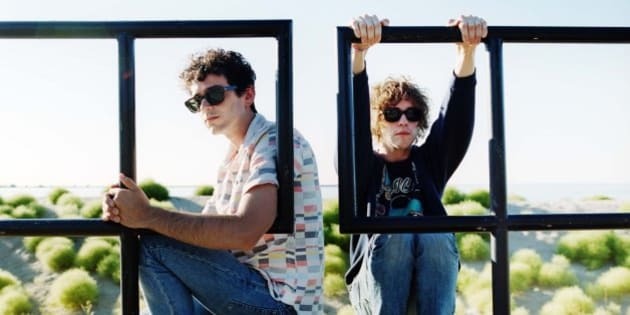 At long last, MGMT are ready to delight their famously irritable fan base by bringing electro-pop masterpiece "Kids" back into their set list on a nightly basis. Though it's their biggest song, the band has incited controversy by withholding "Kids" since as far back as Coachella 2010 drawing the ire of many fans in the process. But in an interview with HuffPost Canada Music, the band's keyboardist and co-songwriter Ben Goldwasser has vowed that the song will return to the band's setlist on their upcoming tour. "I think we're game to try it again," he says. "We've worked on a lot of different ways of playing it." That said, they're no less bothered by fans who want to hear it. "We get kind of annoyed by people who say that we played a terrible show because we didn't play their favourite song," says Goldwasser. "There are a lot of people who feel they have to be very vocal about that — the bro contingent, especially." "It’s just silly to go to a concert and let your whole experience hinge on that one small aspect of it." Goldwasser goes on to explain the reason behind the song's frequent omission, which he believes is a well-considered artistic choice. "It's not necessarily because we don't want to play it, it's more just we don't want to play a song live if we can't make it sound good and fit with the rest of the music." He adds that the electronic feel of the band's new self-titled album, due for release on September 17th, lends itself well to a re-airing of the synth-heavy "Kids." "["Kids"] is a more electronic-sounding song than a lot of the other stuff in our set," he says. "But now that there are more electronic sounds on the new album, I think we're going to have to change the way we play everything." "I don't think we're trying to start a war between the "Kids" fans and the people who don't care [whether we play it or not]." Here’s MGMT playing “Kids” at Glastonbury 2010. Such simpler times.